As I’ve learned over several decades of travel, the best way to get to know a city is to combine a run with some sightseeing. During my travels, I’ve enjoyed casual early morning jogs and put in serious miles while training for a marathon. Here are routes in four great vacation destinations for runners — from San Francisco to London — that will leave you feeling energized like a local. In a city famous for its hills and bridges, I chose the path of least resistance. While visiting San Francisco, my friend, John, and I wanted to check a run across the Golden Gate Bridge off our bucket lists. 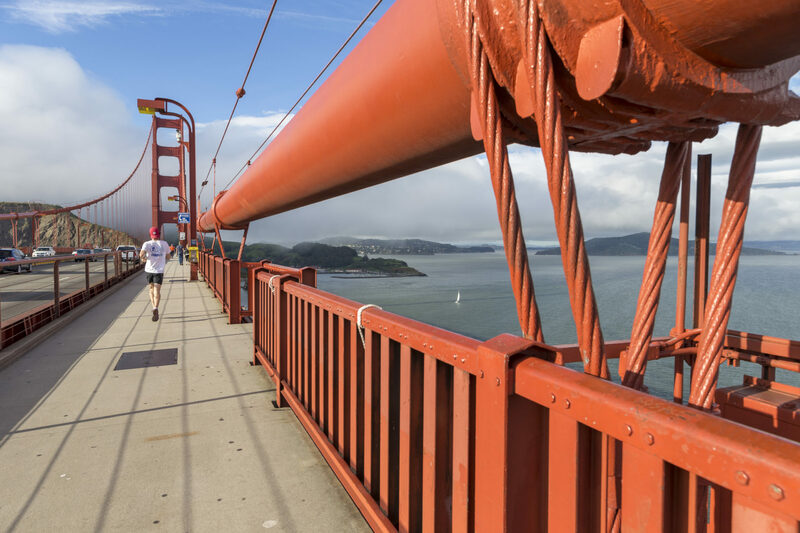 The weather forecast was favorable — a warm and sunny August day — so we woke up early, laced up our sneakers and took a taxi from our Union Square hotel to the pedestrian entrance at the southern end of the bridge, intending to run across the bridge and back. We clearly weren’t the only ones with that idea. The 1.7-mile bridge was filled with runners, walkers and bikers. By the time we were halfway across, I understood why: there’s no better place to view San Francisco’s skyline and glistening bay. A brisk wind added to our exhilaration as we made it to the Sausalito side and turned around, taking in the spectacular scenery the entire way back. Once off the bridge, we continued our run along the Presidio Bay Area Ridge Trail until we arrived, tired yet inspired, at the Powell-Hyde Cable Car. We decided our cooldown would be a ride up the city’s hills back to our hotel. After a cold and snowy New York winter that hindered my daily running routine, I found myself ready to work up a sweat while vacationing in Geneva, Switzerland. 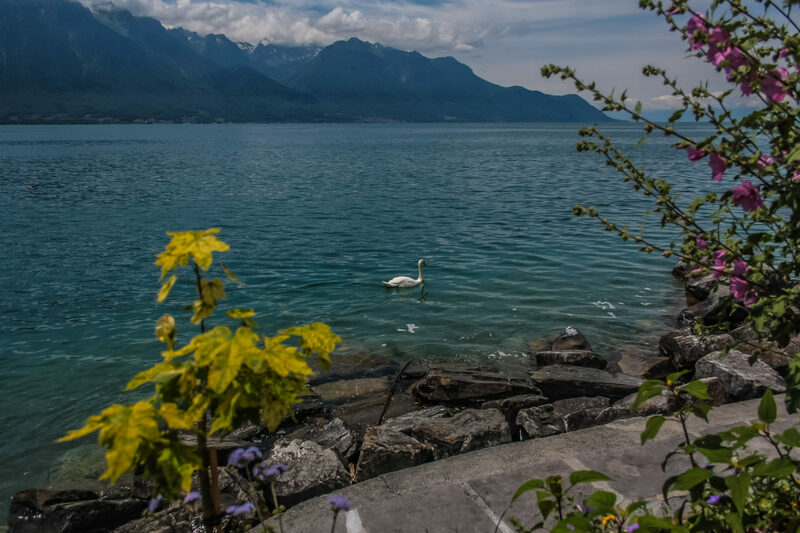 It was a sunny spring day, so I headed to Lake Geneva, a runner’s (or, in my case, brisk walker’s) paradise that sits on the border between Switzerland and France. 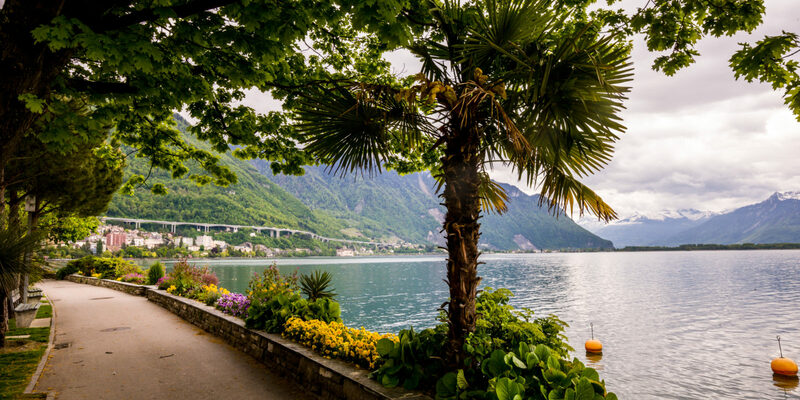 The entire lakefront is bordered by pathways that make it easy to exercise while appreciating the city’s incredible setting at the foot of the French and Swiss Alps. I started at the Rive Droite (Right Bank), passing by luxury hotels and lakeside stands selling ice cream, crepes, coffee and other treats. Then, I followed the pathway planted with sculptural plane trees to Pont du Mont-Blanc bridge. I took a break to admire the wonderful view of its namesake peak in the distance, as well as the steeples and rooftops of the Vieille Ville (Old Town). Veering left on the Rive Gauche (Left Bank), I continued past the fountains of the Jardin Anglais (English Garden) and toward Geneva’s most famous landmark: Le Jet d’Eau. This giant plume of water soars almost 500 feet in the air; as I looked on, I imagined how, on a hot summer day, its drifting mist would offer a welcome cool down. Where will I run in Rome? That question was on my mind during my visit to Italy’s capital city. I had already set a goal to run a marathon within a year, and I needed to log three-to-five miles daily — even on vacation — to achieve it. But Rome’s congested maze of narrow streets filled with zooming Vespas and hordes of tourists hardly seemed ideal. 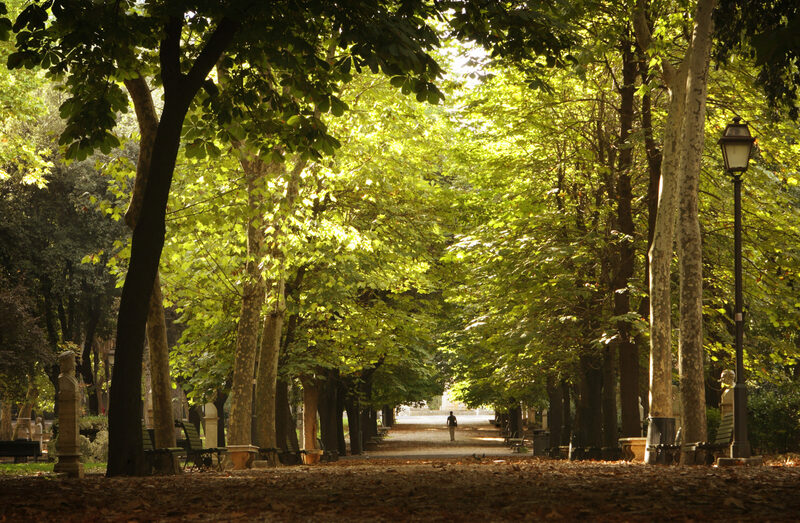 Luckily for me, the Eternal City has a 148-acre park that’s just perfect for a jog: Villa Borghese. It was a sunny Sunday morning in early May when my friend, Sherry, and I headed to the park, me in my running gear and she with a cup of coffee and a good book. While I got my heart racing with an improvised circuit around the park’s central pathways, she found a bench and settled in for some reading. I spent 45 minutes enjoying a scenic loop that took me past several pretty gardens and a lovely lake, as well as the Villa Borghese Gallery and the Museum of Modern Art. In the end, we both experienced a part of Rome that was molto bellissimo in entirely different ways. Training for a marathon involves slogging through a series of long runs (ranging from 12 to 21 miles) over a period of several months before tapering off to just a few miles daily right before the race. When I arrived in London the day before my first (and only) marathon, I knew I had to get in a short two-mile run despite my jet lag. I found the perfect spot in St. James Park. 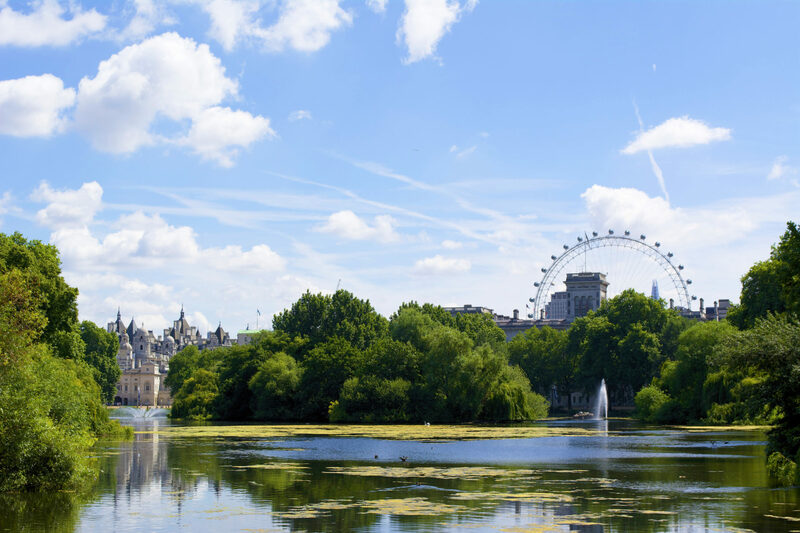 I maintained a relaxed pace as I made a loop around the park’s edge, keeping parallel to the historic royal road, The Mall, as well as the Horse Guards Road and Birdcage Walk. My mind wandered from focusing on the intense 26.2 miles I’d face the next day; instead, I found myself totally in the moment on this perfect late-April morning, running amid flowering gardens and lakes filled with splashing ducks and graceful swans. And the next day, when I again found myself on Birdcage Walk striving to get to the finish line on The Mall more than four hours after I’d started, I summoned that feeling of calm and proudly ran down the final chute to claim my marathon medal. If you want to discover a great running route in an unfamiliar city, expand your search to include not only parks but also river and seaside promenades. These pedestrian-friendly areas are often filled with walkers and joggers, so you’ll feel like a local. Donna H. is a travel writer living in New York.